The exhibition explores 12 works developed since 2002. These works present the Dogma ethos: the urban project as a comprehensive domain in which architectural form, the political and the city are reclaimed as one ‘field’. The exhibition gives particular emphasis to the role of drawing, not as mere illustration but as the quintessential tool of architecture. The projects in the exhibition range from speculative proposals to investigations that question today’s modes of housing. Public space, private intimacy, landscape and infrastructure become the lenses through which Dogma addresses the human condition at large, in a bid to enable architecture to reclaim its role as a conceptual framework, rather than a mere managerial activity. 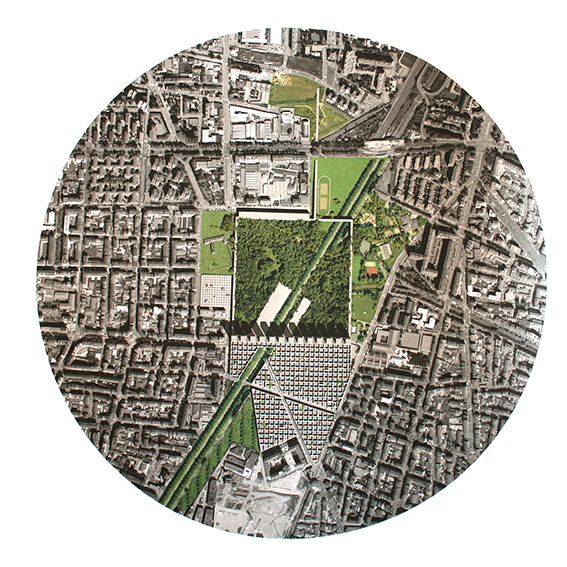 Dogma – the practice led by Pier Vittorio Aureli and Martino Tattara – focuses almost exclusively on research and large-scale projects such as citywide interventions. These projects venture beyond the physical, expanding conceptual frameworks to radically rethink architecture. 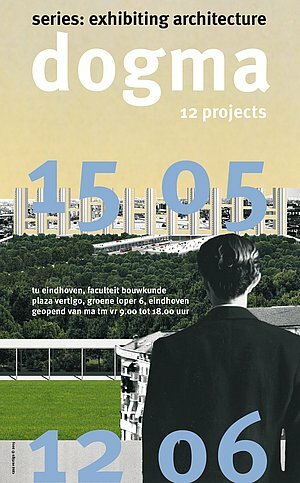 For Dogma, architecture is first and foremo a type of knowledge within which form becomes a device to address the city in the most concrete, understandable and shareable way. Dogma has sustained this position by developing a grammar of simple repeatable archetypes, which recur in every project.